I just googled and doubled-checked: counterclockwise is the way to wrap a purl stitch. But there was some blather about throwers and pickers…and I know I am a thrower. I knit a lot of stuff before I ran into this! 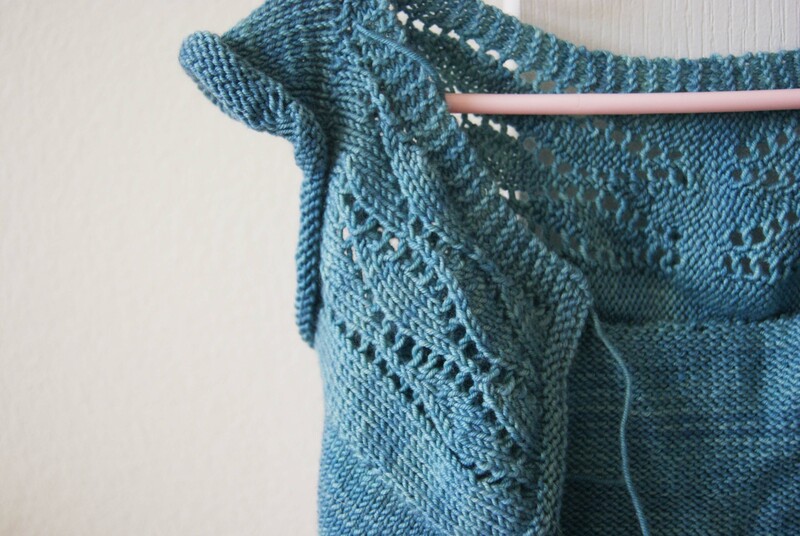 Apparently wrapping clockwise makes stockinette look like it needs to pee–crossing its legs! I never even knew there was another way to do it! 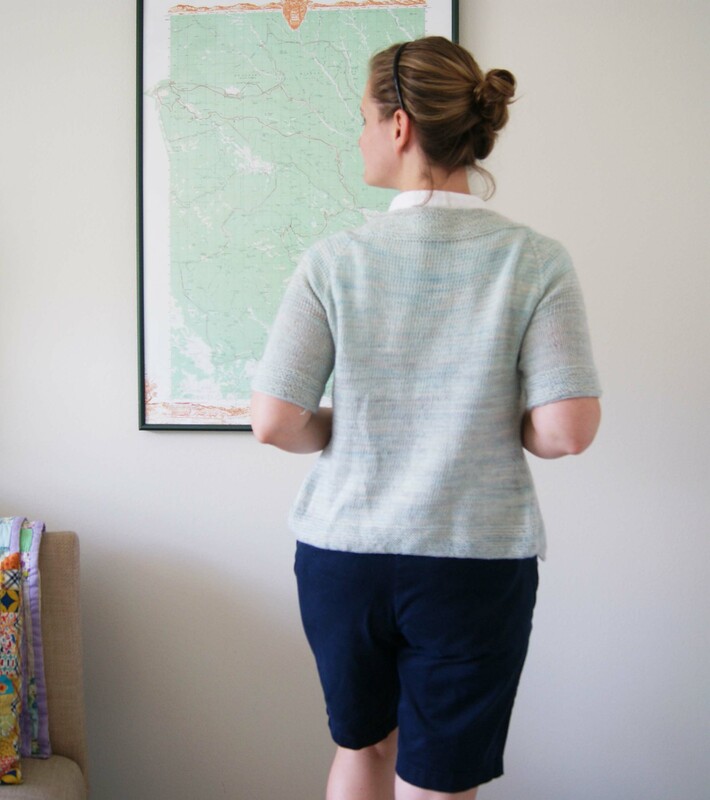 I’ll have to pay more attention to what I’m doing :P.
Loving the look of your whisper wrap – I can’t even knit in the round or on circular needles so you are one up on me. I have been told that it will change the way i look at knitting once I can. 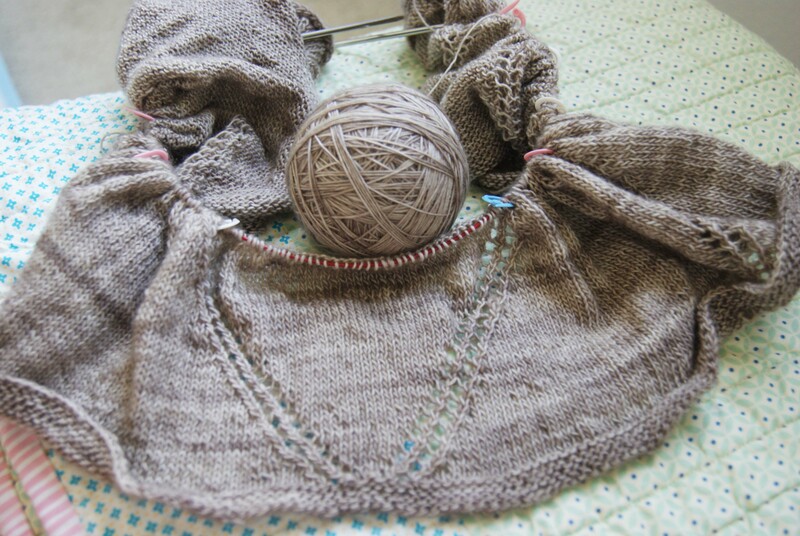 Maybe after my current knitting project is finished. 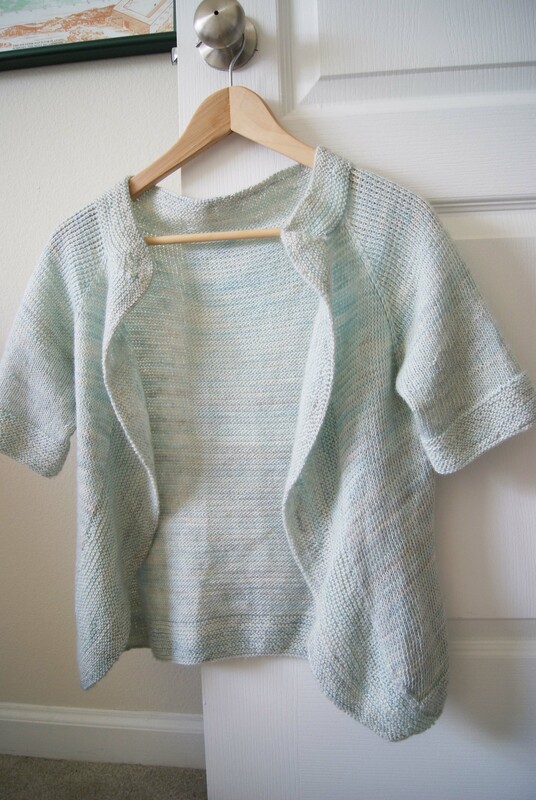 Your cardi is really lovely! 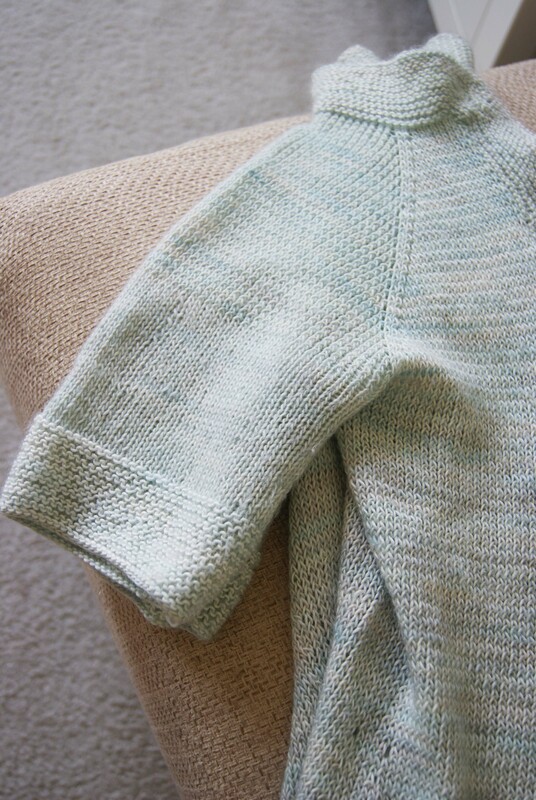 The finished cardigan looks lovely – and the twisted stitches just add to the character! Not to mention that colour looks fabulous on you. Great work! 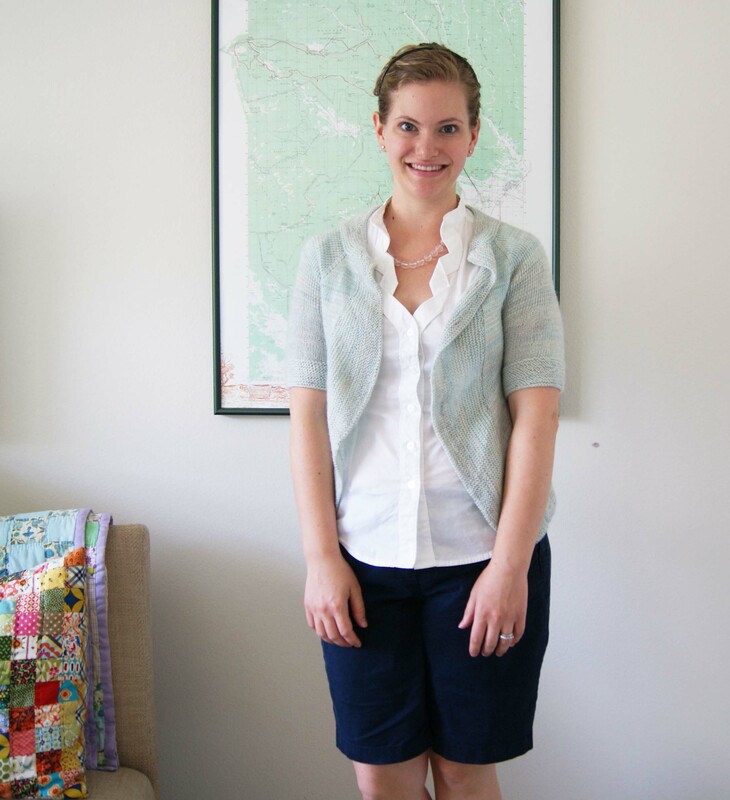 That’s a great cardigan! I like your sleeve length and how you’ve left off the front closure. Looks great! Knitting truly is different than sewing and there is so many different techniques to do the same stitch, very confusing. I’m definitely using a different part of my brain when knitting.